How do the best players in the world, play your game? Or how *will* they play your game (if it's still in development)? I think coming at your design from the 'best players in the world' angle can shed light on some possible gaps. After mulling over an inspired question by Jason Rohrer of his own Diamond Trust of London, "I'm interested to see over time what a really good player of Diamond Trust is", and reading a Super Hexagon tip list by a world-class player, I wondered how the best players of my own games would play them. 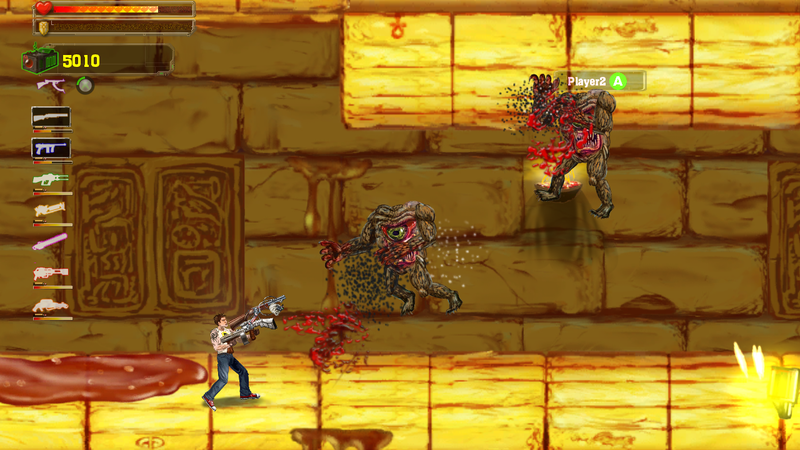 We're working to finish our first XBLA game, Serious Sam Double D XXL. It's not out yet, so I don't know yet how the world's best players will climb its leaderboards. But I have a good substitute--myself. If you're a indie dev like me and you're working on a game still to be released, chances are your team includes your game's best players. You play the game day-in and day-out working on and testing it. You may be using techniques and abilities that are perfectly in-line with your designs, or you may be side-stepping intended gameplay without knowing it. Will your players do this as well? What would you tell others to allow them play as well as you do? Practice writing a small walkthrough for your game before it’s finished. What are you telling players to help them through? Should you have to tell them these things? What are you explaining that should be better explained within the game itself (hopefully through design, rather than explicit text). Are you subverting the game design in the way you're playing? Is this intended? Can you uncover exploits to hopefully redirect players into the intended portion of the game? Best players know the levels and mechanics well. How? Is there a proper introduction of each mechanic? How do you think the best players will discover the deepest tricks of your game? Are they fair and discoverable? Is it fun to suss them out, or will they find them only by accident? For instance, In Serious Sam Double D XXL there are campaign levels (with a story) and challenge levels. The campaign levels have leaderboards for quickest level completion time. Based on how I play, I know this means they need to get the Air Buffer gun upgrade, which lets them hover some as long as they shoot. I also know its possible for players to skip a lot of enemy setups. Is this okay? Is this still fun? For me knowing how players (and myself) try to skip enemy setups, can help foster new ideas. This led to creating a shotgun upgrade with pellets that slow down time momentarily for any enemies hit. This combined with the hover ability can get you through fast. Thinking about this from the original PC release of the game, I realized some setups players were skipping too quickly in any case. Even though the game now registers speed runs, I wanted some spots to give them something more substantial to fight sometimes which led to the introduction of armored enemies. Another aspect of the campaign is collecting currency to spend on new gun upgrades. Similar to getting infinite 1UPs in a Mario game, I know there are a few spots in the game where a player can grind to gain currency. If you have exploits like this, make sure you know about all of them, to properly manage them. Collecting currency actually helps the simpler setups now as well. In the earlier, easier levels, players will still engage the smaller enemies because they drop currency on death. 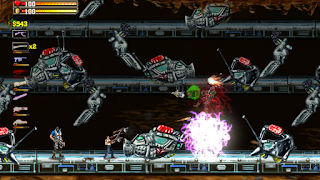 The original designs of the game had no such system, and no incentive to engage the smallest enemies once players became accustomed to the level setups. Imagine that best player wrote a walkthrough about your game. What are they telling others in order to perform well that's missing from within the game itself? New to SSDD XXL, There are over 30 upgrades which let you heavily modify your weapons, some of which are pretty strange. That's a lot of new gameplay to introduce; how do I know players are getting it? This is especially tricky to consider because as the creator you inherently know all the abilities of your guns (or various gameplay). It may sound obvious, but a good place to start explaining things is a description of your guns (or whatever advanced gameplay you have). If there's some advanced technique you regularly employ and expect the player to know, explain it somewhere. For instance, XXL has a 'Cybernetic Bee' upgrade for the shotgun which shoots bees which can lift enemies into the air, stinging them. Cool! But it can also be used against armored enemies. While normal bullets bounce off the armor, the bees can go under their armor. One way to explain this is with text. I do this now, but originally the Cybernetic Bees description only mentioned what they were, not their ability against armored enemies. A better way is organically letting the player discover abilities. For instance, in the game, the Gunstacker system lets player stack up their guns, allowing players to have multiple guns firing at once. Here players don't have to exclusively try out the bee gun to see it working--it will likely be in a stack anyway, and the results against armored enemies speak for themselves. While I assumed players would be able to figure out that the bee gun can be used on armored enemies, since this is a quasi-required mechanic (not just a secret), it's best to go ahead and explain it wherever possible. I'm still learning about gaps and looking for issues in Serious Sam Double D XXL, but it's getting much better. With my game still in development, imagining what tricks the world's best player would employ, I can see what areas of the design are being exploited, require shoring up, or better explanations, and hopefully you can do the same for your designs. 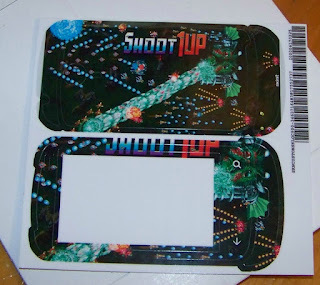 This is the final group of Shoot 1UP Phone Skin Giveaway questions. Check out the first group of questions and second group of questions and answer those as well to win the cool prize! How many levels are in the Windows Phone 7 version of Shoot 1UP? What is special about the new game mode in the Windows Phone 7 version of Shoot 1UP? How do you get the highest score multiplier in the game for a single attack in Shoot 1UP? Email me the answers (see below) to this second group of questions for a chance to win. Contest finishes this weekend so get your answers in! 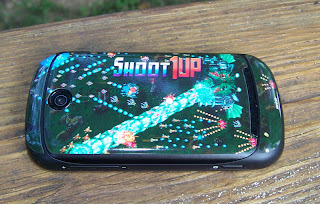 To celebrate Shoot 1UP being available on Windows Phone 7 we're giving away awesome phone skins! The skins sport a sprawling battle across the first level of Shoot 1UP, are made of high quality vinyl, and allow you to protect your phone from bumps and scratches, all while making it look like your from the future. You have several chances to win! All you have to do is answer some Shoot 1UP trivia! Prize as shown on a LG Quantum. Pick any phone you want for your skin! Get any group of three questions correct. For each group answered correctly, that's another chance to win! Sometime around Sunday, September 16th, I'll announce the winners. Like us on Facebook and follow MBG on Twitter for more chances to win! See at the bottom for details. You have 3 chances to win. No game purchase is necessary (bug your friends for the answers, or check the Internet), but it's greatly appreciated! Answer the Shoot 1UP trivia questions. Several groups of questions will be offered throughout the week of September 10th, 2012. If the answer is particular to the Windows Phone 7 version it will say as much. If you get any group of 3 questions correct, you'll be entered into the pool of potential winners. Be good to each other. For each group you get correct, I'll enter you into the pool once (answer 3 groups correctly, you'll be 3 times as likely to win). For those people with correct answers, I'll randomly select (at most) 3 winners. You can only win (at most) one phone skin. I'm the judge of the answers, and all rulings are final. I'm buying the skins through SkinIt.com. If I pick you as a winner, I'll need your phone model to know what to make the skin for. If they don't have the model on the site, I'll have to pick someone else! Sorry! (Check first then for your phone before entering? Or just enter for fun anyways.) If there's international shipping involved, I'll have to see how much it costs first before I can agree to send it. I think international will be doable! Unless it's like a hundred dollars or I have to pay off your local government or something. Just mentioning that caveat. Email: nathan@mommysbestgames.com, subject "Shoot 1UP Trivia"
You could also just leave your answers in a comment below, but make sure I can contact you somehow. Check back for more ways to win this week! This is the second group of Shoot 1UP Phone Skin Giveaway questions. Check out the first group of questions and answer those as well to win the cool prize! 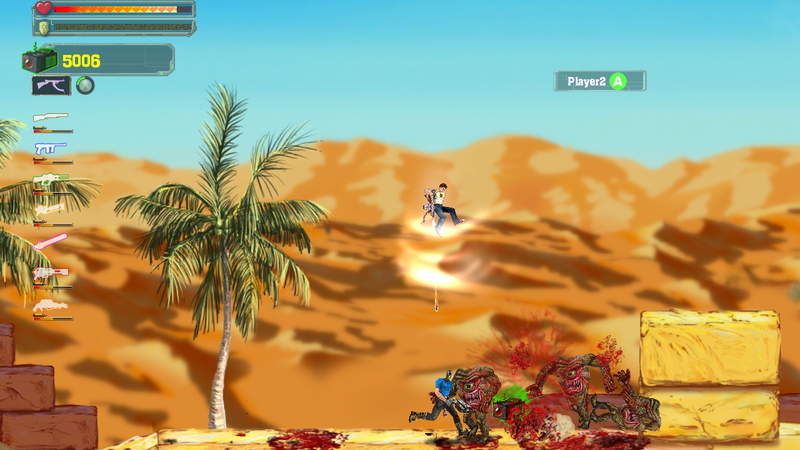 Shoot 1UP is out on Windows Phone 7 but on what other platform has it been released? What type of objects are lying destroyed in the background of the first level in Shoot 1UP? What's the name of the female android boss from the box art of Shoot 1UP? Email me the answers (see below) to this second group of questions for a chance to win! Next group of questions on Friday! 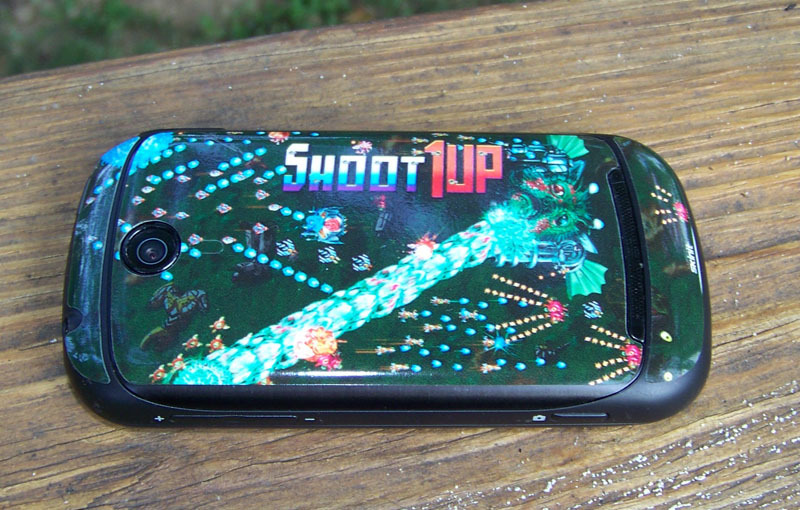 Win a Shoot 1UP Phone Skin! Send me the answers to this first group of questions for a chance to win! In Shoot 1UP, does choosing the path that goes right make it easier, harder, or the same difficulty? What do you unlock if you collect 2 MBG pies in Shoot 1UP? A new level, a new game mode, or a new ship type? What's the maximum number of ships one player can get in Shoot 1UP on Windows Phone 7? 10, 20, or 30? Next group of questions on Wednesday!